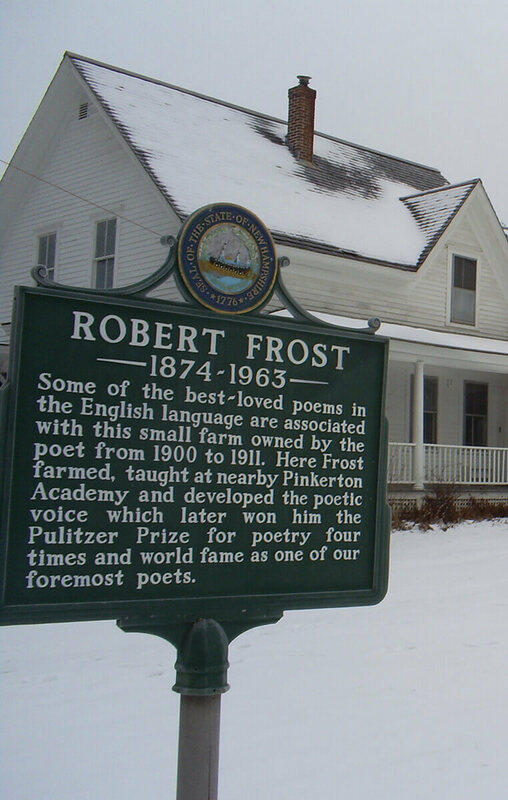 American Poems's Robert Frost page starts with a biography linked to related poets (including Carl Sandburg and Ezra Pound) and ends with a listing of 108 poems, sorted by volume. What's unique here is that each poem includes comments posted by readers. Like all online public commentary, some of it is worthwhile, and some is not. Another fun feature is the ability to email any of the poems to friends and family. Modern American Poetry is the online companion to "Anthology of Modern American Poetry" from Oxford University Press. It contains literary criticism on thousands of poems from hundreds of American poets, and is a great place to peruse before writing your high-school or college English paper. In fact, if you are particularly proud of your finished paper, you can send it in (see instructions on About the Site, linked from the home page) and perhaps get published. 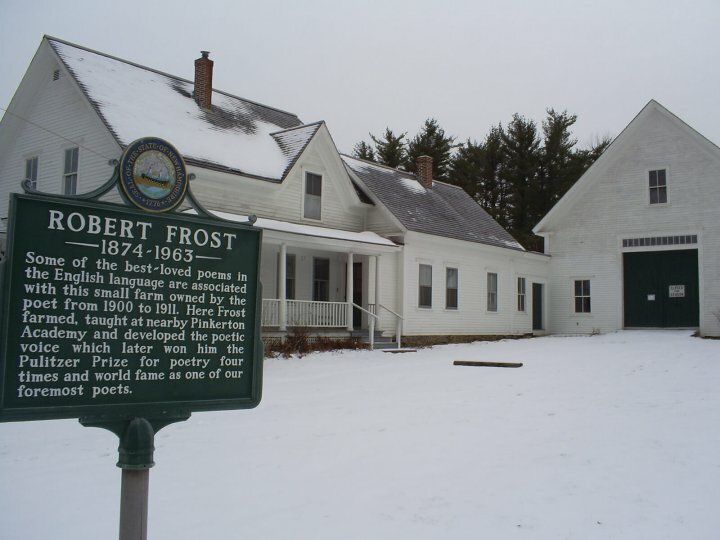 "Frost's first book was published around the age of 40, but he would go on to win a record four Pulitzer Prizes and become the most famous poet of his time, before his death at the age of 88." Visit Poetry Foundation for a rich collection of Frost resources: a biography, podcasts, articles, videos, and (of course) poems. "It was abroad that Frost met and was influenced by such contemporary British poets as Edward Thomas, Rupert Brooke, and Robert Graves. While in England, Frost also established a friendship with the poet Ezra Pound, who helped to promote and publish his work." Related articles are listed in the right-most column. Be sure to read the analysis of one of Frost's best known poems,"The Road Not Taken: The Poem Everyone Loves and Everyone Gets Wrong." "Education is the ability to listen to almost anything without losing your temper or your self-confidence." The Frost quotations are sorted by popularity, which means you can vote for your picks (or pans) by clicking on the up (or down) thumb. Pay special attention to the tiny icons next to each quote. They provide one-click access to sending each quote as an e-card, copying to your clipboard, or printing. Feldman, Barbara. "Robert Frost." Surfnetkids. Feldman Publishing. 19 Mar. 2019. Web. 20 Apr. 2019. <https://www.surfnetkids.com/resources/robert-frost/ >. By Barbara J. Feldman. Originally published March 19, 2019. Last modified March 19, 2019.